This is Part 5 in a series on the South Africa Ministry Network. Read Part 1 here, Part 2 here, Part 3 here and Part 4 here. Before I was diagnosed with Post-traumatic Stress Disorder, I was the most positive person on earth. No matter how grim the circumstances, I was going to overcome them and no matter the obstacles, I was going to achieve my dreams. One of the unfortunate side effects of PTSD is a change in perception of negative events. Paranoia creeps in that creates a thought process that all uncontrollable events are negative and traumatic. I felt powerless and weak. Being a student at a Christian university, obviously I was aware that God is always in control. However, combine this knowledge with the distorted lens of PTSD, and I began to believe that God represented all things negative and traumatic. The opportunity of a lifetime came to me as I signed up for my last spring semester at Howard Payne University. I am a psychology major with a youth ministry minor and, like many seniors, was in hot pursuit of electives. The International Missions Practicum, including a two week trek to South Africa alongside the CBF South Africa Ministry Network, sounded like one heck of an elective. As any psych major knows, optimism and pessimism are key aspects of personality. My optimism was still an unavoidable part of who I was as a person, so I was excellent at maintaining that in public. There were only three people who knew of my internal struggle regarding God. Two of those people cared enough about me to point out that going on a mission trip and fighting God do not go together, but I had already convinced myself I was simply studying abroad. During one of our classes, I said that I was not expecting God to reveal anything in particular. In the back of my mind I was just hoping God would say something. I was hoping for anything to jolt me out of this horrible cycle of thinking. Along with four other students, I met once a week with professor, Dr. Melody Maxwell, for the duration of the spring 2015 semester. We studied the phenomena of short-term missions through the perspectives of Brian Howell (Short-Term Mission: An Ethnography of Christian Travel Narrative and Experience) and David Livermore (Serving with Eyes Wide Open: Doing Short-term Missions with Cultural Intelligence). We studied the history of Christianity, apartheid, tribal African culture and Nelson Mandela’s legacy (Long Walk to Freedom) in South Africa. We also had extensive conversations about our preconceptions of Africa and discussed the potential for a stort-term mission (STM) narrative to weave its way into our minds. Students from Howard Payne University in Brownwood, Texas, joined CBF churches of the South Africa Ministry Network for a week-long mission experience, volunteering at the Refilwe Community Project in Johannesburg. Even in our travels back to the states we heard people quoting these familiar algorithms. We as a class determined not to come back with such surface-level, temporary resolutions to be “more thankful.” We as a class resolved to come back better learners— to come back better Christians. I do not particularly believe in prophesying. I think God can use people to speak truth, but I think the idea of modern prophesy makes idols out of preachers who “get it right” by happy accident. While we were attending the 21 Baptist World Congress of the Baptist World Alliance during the second week of our trip, an evangelist from London prayed over us. Even though I was not as enamored with his insights as the other students, it was still the something I was yearning for. This specific struggle and resolution is the main thing that stands out for me on this trip. Ironically, it was not so much the things said in his prayer that struck me. It was what he said afterwards. He looked at me and smiled saying, “You are the maverick of the group aren’t you?,” but I felt God saying “you are bent, never broken”. 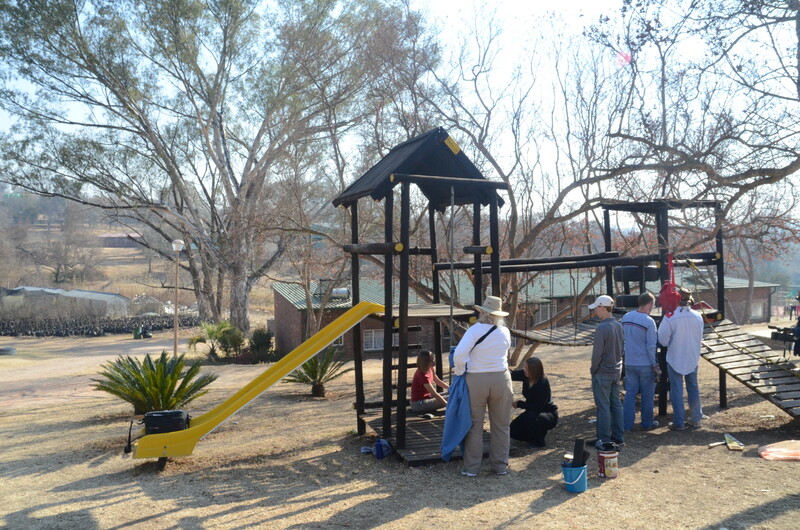 During our week-long mission experience, we worked at Refilwe, a community project based in Johannesburg, alongside members from Broadway Baptist Church in Fort Worth, members of First Baptist Church of Second Baptist Church Little Rock as well as with the Refilwe volunteer staff. While there we stayed in what we lovingly referred to as “the cell block” and experienced many exciting things during our time there such as: neurotic roosters, frozen water pipes, African spiders, travelling sickness and the endless quest to find wifi. But all of those things paled in comparison to the amazing time we had playing games with the kids from Refilwe and the Joe Slovo community. We helped them with homework, learned new phrases and tried not to sound ridiculous when we would repeat them wrong. We were also given the chance to spend time at the El Roi baby home, which has found homes for 29 beautiful kids since they opened their doors in 2012. Currently, El Roi houses 11 babies who are eagerly waiting to be adopted. The Refilwe Bophelo clinic is another essential part of this incredible ministry. The director, Sister Didi, conducts her clinic services and home visits free of charge. Her passion for the people of the communities surrounding Refilwe moved our team in ways I cannot put into words. 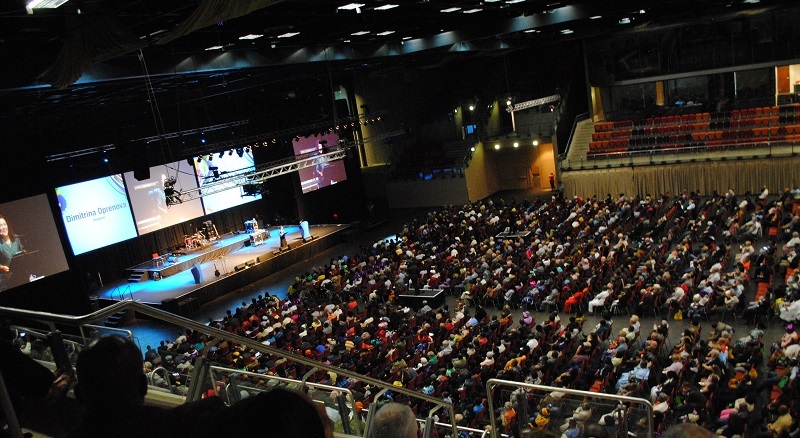 More than 2,500 Baptists from over 80 countries attended the 21st Baptist World Congress of the Baptist World Alliance in Durban, July 22-26, 2015. The next week we took a seven hour bus ride down to the metropolitan city of Durban, right on the coast of the Indian Ocean. The Baptist World Congress was being held in Africa for the first time. There were Baptists from over 80 different countries from around the globe, and sessions throughout the week were conducted in twenty-five different languages. It was incredible being able to have conversations with people from different cultures about the same Savior. There were just so many things that happened in two weeks! If I had to sum up my overall analysis into one central idea it would be this: The world is a much bigger place that I thought. God is much more creative and the church is much more diverse than I ever dreamed. It is ridiculous to think that mankind could ever define or contain either of them. When I looked out into the audience the last night of the Congress, I imagined it would be like trying to stuff the ocean into a cage. People are diagnosed with PTSD because they perceived trauma to be too much for them to handle. PTSD changes the perception of a person regarding the uncontrollable events in their life. Therapy brings reality back into perspective. In my case, this trip was much like therapy. It brought reality back into perspective. Another professor at Howard Payne has always told me that he is proud I never let my diagnosis define me, and he is right. But that does not mean I did not let it affect me. Truly, I have not been myself since March 26th, 2014. It was not until we landed at the Dallas/Fort Worth International Airport that suddenly I realized I brought something home from Africa that I did not intend to: me. Rachel Ellington is a student at Howard Payne University in Brownwood, Texas.